After a successful launch five months ago, Katie Squire and her catering team, who were behind the successful new restaurant venture at Channels Bar & Brasserie on the Channels Estate in Little Waltham, have turned their attention to another culinary adventure. The Channels’ sister property – the Bistro at Little Channels, situated to the west of the country estate – has just began offering a quaint afternoon tea experience from the bucolic setting. The Bistro’s traditional afternoon tea features quintessentially British staples such as fruit scones, a selection of finger sandwiches, and mini homemade quiche. 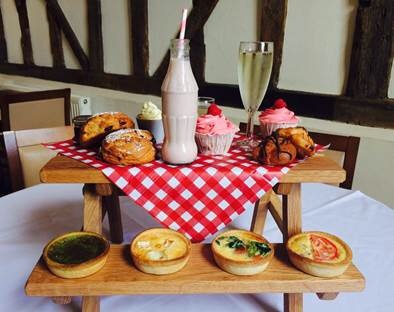 For those looking for an extra treat, the venue also offers afternoon tea with bubbles, including a glass of prosecco and bite size dessert in addition to the refreshments offered in the traditional option. The Little Channels Bistro prides itself on being family-friendly, with a welcoming, intimate atmosphere in a bespoke restored barn setting. The newly-refurbished courtyard has added another dimension to the venue, with a variety of high quality furniture and a heated undercover area perfect for a sunny afternoon.